Real-life discoveries of lost films are rarely so suspenseful as the events depicted in Martin Scorsese’s Hugo, but exciting finds are being made. 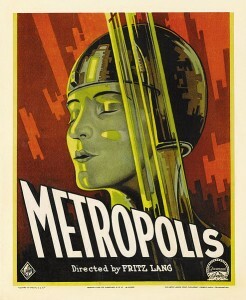 The story of how critical scenes from Fritz Lang’s masterpiece Metropolis were rediscovered by Fernando Peña in a Buenos Aires archive, then restored to the film, is remarkable. The German project Lost Films, a site and archive created by the Deutsche Kinemathek – Museum für Film und Fernsehen (Berlin), gathers images and evidence related to movies, titles, and filmmakers both lost and found. Browse the archive or have a look at a list of 50 films that have yet to be identified.